Mardi Gras is French for “Fat Tuesday”, reflecting the practice of the last night of eating rich, fatty foods before the ritual fasting of the Lenten season. It always falls the day before Ash Wednesday, the first day of Lent. It is a time of great celebration where people throw parades and parties. 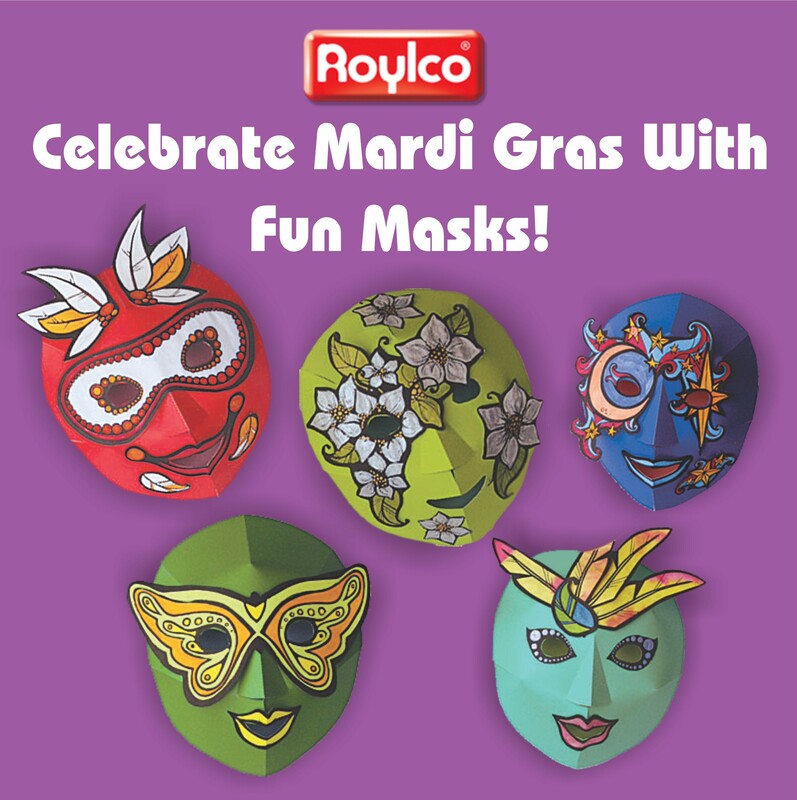 Today we are going to teach you how to use Roylco R52081 Maridi Gras Color Diffusing Masks to make gorgeous masks. Let’s get ready for the parades and parties! To paint the paper, roughly cut out the images you will use for your mask. Note: you can mix and match components. It is important to plan your mask because there may be more than one mask image per sheet of color diffusing paper. Lay the pieces onto a paint tray or several sheets of newspaper to protect your work surface. Drip some liquid watercolor paint on and watch the colors flow. Tip: because the colors will mix, it is a good idea to work with only two or three colors—too many colors will result in brown masks! If you are using markers, color in the areas using as many different colored markers as you like. Once complete, spritz the sheet with a little water from a spray bottle, The water will help the marker to blend and “bleed” to produce a beautiful effect. Once completely dry, cut out the painted images. 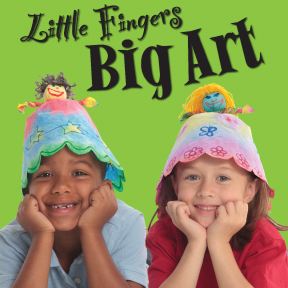 Add extra details with gel pen, markers or glitter glue before gluing onto the masks. Ideas: To add even more interest to your mask, sprinkle a little salt over the mask before dripping on the paint. The salt will dissolve and add subtle star-burst highlights. You can add details with crayon before painting. 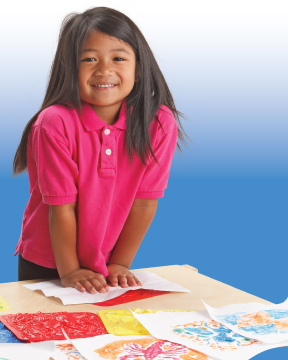 The crayon will resist the paint and the detail will appear on the finished artwork. Please visit http://roylco.com/shop/r52081-mardi-gras-color-diffusing-masks for more information.